Cagayan de Oro is a city located at the North of Mindanao, Southern Philippines. Cagayan de Oro is known as "City of Golden Friendship" because the people here are friendly. Being a business center for Northern Mindanao, Cagayan de Oro is one of most progressive among other Mindanao Cities. From Davao, it takes around 6-7 hours to reach Cagayan De Oro if travelled by land (via Buda or Bukidnon). There are some popular malls in the city such as SM, Robinsons Big R, Ororama, Gaisano and the Cagay-anons pride, the Limketkai Mall. Overall, Cagayan de Oro is a nice city to visit. The Pinacanauan river is an ideal place for kayaking and whitewater rafting adventure. Even beginners can join in our package. Kayak the Class I to II rapids of the Pinacanauan river and raft the Class II to III + (sometimes IV) high waters of Chico River. 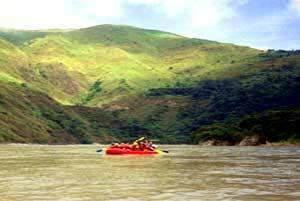 Rafting for four hours with beautiful scenery of canyons and waterfalls from Pasil to Tabuk, Kalinga. Swim in the crystal clear waters of Pinacanauan and Chico Rivers. Explore the famous Callao Caves and Sierra Cave. Also view the circadian flight of bats from a batcave along the river. Excellent cuisine. Transportation around Tuguegarao City, Cagayan and Kalinga. Arrive in Tuguegarao City. First of all we will have a reception with our tour guide before check in to hotel at Casa Carag and also breakfast. Then we will take a Jeepney ride to Penablanca. Once we reached Penablanca, passing by the Callao and Sierra Caves. We will start our Kayaking Basics at Pinacanauan River before having our barbeque lunch by the riverbank. 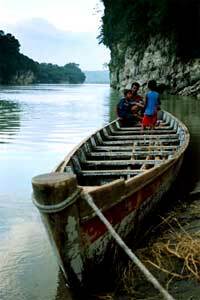 We will enjoy a ride on a motorized banca upstream and run your kayak downriver to Callao area. While kayaking, notice the flight of bats. Dinner and overnight. After breakfast, we will embark on a two and a half hour jeepney ride to Pasil, Kalinga. Arrive Tabuk, Kalinga and proceed to Pasil. 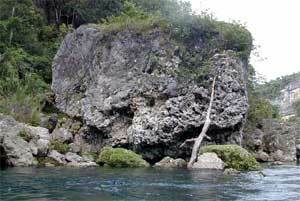 We will begin our whitewater rafting from Pasil. Having our late lunch at Tabuk, we will then leave Tabuk for Tuguegarao City and have dinner. How to Get to Tuguegarao City? From Manila, Philippine Airlines flies to Tuguegarao City every Mondays, Wednesdays and Saturdays, fare is 2,723.00 Philippine Pesos one way trip.